I’m blessed to have a wife who’s a good cook. When I lived in Austin, Texas, the story was that skirt steak (diaphragm muscle) was a cheap cut of meat favored by Mexicans. After fajitas caught on, the price went up. It’s often run through a tenderizing machine or pounded before cooking. Pico de Gallo is just chopped up tomato, onion, cilantro, jalapeño pepper, and salt. 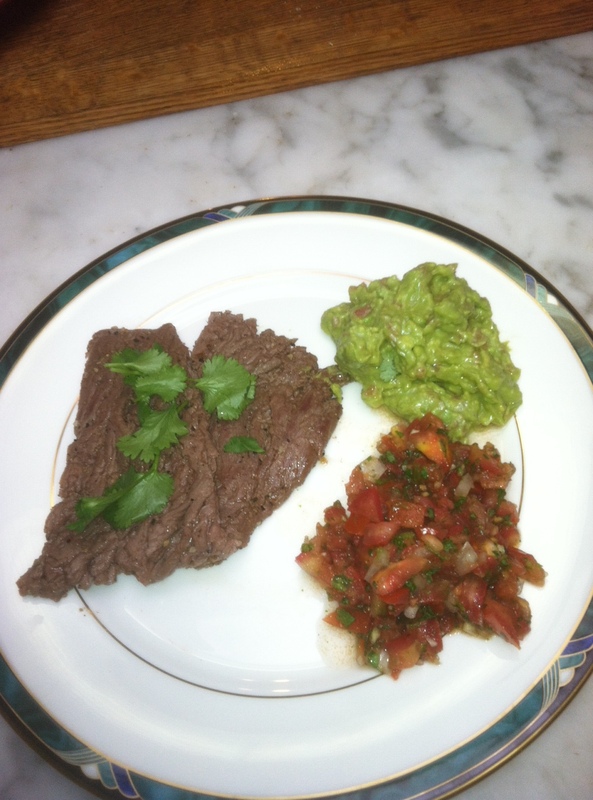 This entry was posted in Recipes and tagged guacamole, paleo diet, pico de gallo, skirt steak, steak. Bookmark the permalink.